1.d4 ¤f6 2.c4 e6 3.¤f3 b6 4.g3 Ґb7 5.Ґg2 Ґe7 6.0-0 0-0 7.d5 A well-known pawn sacrifice, which has become still more popular after the 1980 candidate match Polugaevsky – Korchnoi when Lev Polugaevsky, playing as White, used to get positions with initiative. Oneofthosegamesbecamequitefamous. A little later young Garry Kasparov used to employ this sacrifice during his first match against Anatoly Karpov in 1984. In our times the idea of this offer is defended by Shakhriyar Mamedyarov, and now Levon Aronian has also joined the advocates of aggressive play. 7...exd5 8.¤h4 c6 9.cxd5 ¤xd5 10.¤f5 ¤c7 11.¦e1 More frequently there immediately follows 11.e4, but Levon prefers to wait for d7-d5 in order to guarantee opening up of the play. More often than not such tricks lead simply and inoffensively to a different move order, but not when you play against Vassily Ivanchuk! 12...d4!? A very rare and interesting move, more known and already well-examined by theory are the other developing continuations, the main lines being 12...dxe4 and 12...Ґf6. Vassily Ivanchuk's idea is to retain the closed nature of position. 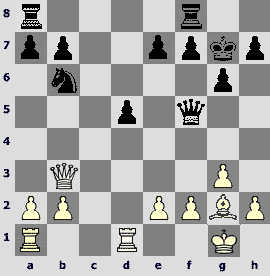 Now White does not have control over the e-file, and to capture the d4-pawn he must lose time. 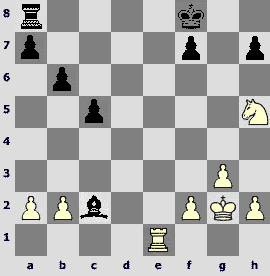 Besides, in the white camp there appears the weak d4-square, which is soon to be occupied by the black knight. White in his turn has more board room at his disposal, his pieces are more active, and we should not forget that the material equality has already been restored. 13.¤xd4 c5 14.¤f5 ¤c6 15.¤c3 ¤d4 16.Ґf4! The much talked-about pair of bishops after the probable 16.¤xe7+ won't bring any luck, in this unconventional position the knights have the strong points in the center and are not any weaker than the bishops. 16...Ґf6 after 16...¤xf5 17.exf5 there are troubles with the c7-knight. 17.g4! at his disposal, fixing the knight on f5 and lengthening the diagonal for his dark-squared bishop, after 17...¤ce6 18.Ґg3 the advantage is White's. 17...Ґxg2 18.exf6 Ґf3 19.¤e7+ ўh8 20.Ґxc7 20.fxg7+ ўxg7 21.Јc1 ¤ce6 22.Ґh6+ ўh8 23.Ґxf8 Јxf8 was dangerous rather for Black. 20...Јxc7 21.¤b5 Forced, the weakness on f3 prevents White from developing his initiative: 21.Јd2 Ґh5 22.fxg7+ ўxg7 23.Јg5+ Ґg6 24.¦e3 f6 leads to black advantage. 22...Ґc2! The bishop is very strong, and, protecting it from the exchange, Black guarantees the comfortable ending for himself. 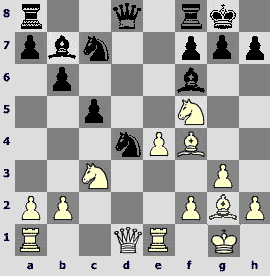 23.¤xa8 ¤f3+ 24.ўg2 ¤xe1+ 25.¦xe1 ¦xa8 26.¤d5 It is senseless to initiate the exchange on g7 himself, spurring the black king. 29.g4! 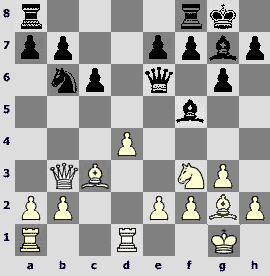 White creates counterplay, the g-pawn supports the knight, and the road to the center for the king via g3 to f4 is free. 29...¦d8 30.¤f6 h6 31.ўg3 ўg7 32.¤h5+ ўf8 33.¤f6 Ґa4! A good bishop transfer, from c6-square it aims at the K-side and defends the e8-square from white rook's invasion. 34.¤e4! Levon switches over to defense in time, without knight's support his Q-side is doomed. 34...Ґc6 35.¤c3 ¦d2 36.¦e2 ¦d4 37.¦e1 Ґd7?! This procrastination spills the slight edge, bishop's transfer to e6 looks inoffensive, from here it does not support the b-pawn advance, without which Black has no plan of actions at all. The resolute 37...b5! 38.¦e5 b4 39.¤e2 allows to fight for victory (to a dangerous for White rook endgame leads 39.¦xc5 bxc3 40.¦xc6 cxb2 41.¦c8+ ўe7 42.¦b8 ¦d2) 39...¦d3+ 40.ўh4 ¦d5 and White needs precision in defense. 38.f3 Ґe6 39.a3 Now there are no targets to attack on the Q-side for Black, White knight has a good e4-square, and the king is potentially ready for centralization to f4, so the position has leveled. As in the previous round against Levon Aronian, Vishi Anand played super reliably in the opening, obviously wishing to exclude a slightest risk. It is hardly possible to take Peter Leko barehanded in half an hour, even if Leko is in a bad form, and Anand has hardly counted on it. He had just made another small step to the first place. 18.a4!? Peter's position seemed alarming for a moment. However, it turned out that things were not so bad after all, and Black maintained the equality. 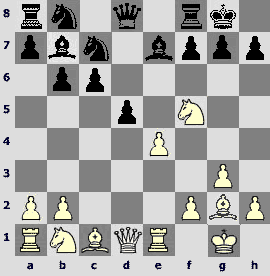 I think that in the ending of "four-pawns-vs.-three-pawns-on-the-same-flank" kind Black with his queen and a knight could have tried to do something against two white rooks and a bishop, but the most probable outcome is a draw anyway. 17.e5?! (both 17.¤d6 and 17.¤e3 are worth examining) lead forcedly to an ending that was slightly better for Black. Still Vassily reckoned his edge to be negligibly small and chose move repetition. 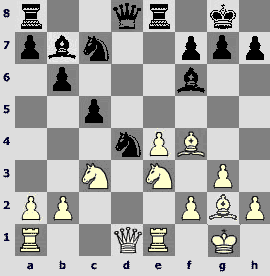 Alexander became a hero of the second part, having won his third game in it. Well done! For a long time the game looked drawish, but this does not detract from Alexander's merit in the least. 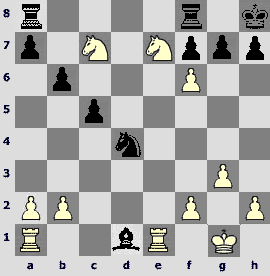 He had been looking for a chance in a seemingly unpromising drawn endgame and was rewarded for his persistence!